One of the most impressive things about Tight’N’Cryogenic Tightening Gel is that you notice that it works from the very first time you use it. Instant gratification? Sign me up. Tight’N is based on cryogenic therapy; the coldness provides an instant tightening effect to the skin. 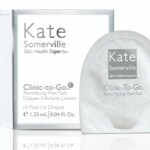 Add in a unique blend of firming ingredients with a unique delivery system and you have another Kate Somerville hit. For best results, spray about a dime-sized amount of Tight’N Gel into your hand and then press and “hold” on skin. As I’m holding, I like to gently lift my skin upward, to help things along. You’ll hear crackling (similar to pop rocks!) 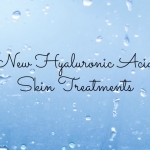 sounds as the product transforms into a gel so that you can work in as needed. 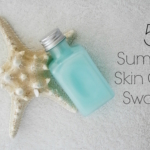 And then you’ll notice that your skin feels softer and the fine lines seem to be lifted, smoother, and less noticeable. Winning! 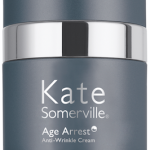 As I always expect with Kate Somerville skincare, the formula of Tight’N Gel is a nice blend of firming ingredients like Microalgae extract, Peony Extract and Hydrolyzed Hyaluronic Acid for elasticity. My only issue with Tight’N Gel is the smell of the aerosol propellant; luckily I can overlook that, considering I’m happy with the overall results. Tight’N Gel is recommended for use in the morning and evening. You can even use it as a mid-day makeup refresher. 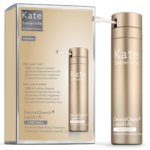 Kate Somerville Tight’N’Cryogenic Tightening Gel can be used by all skin types. 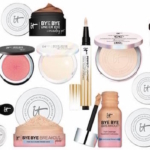 You can find it now exclusively at Sephora and KateSomerville.com.